On more than one occasion, I’ve referred to our local Historical Museum and Library as Petaluma’s Treasure Chest. 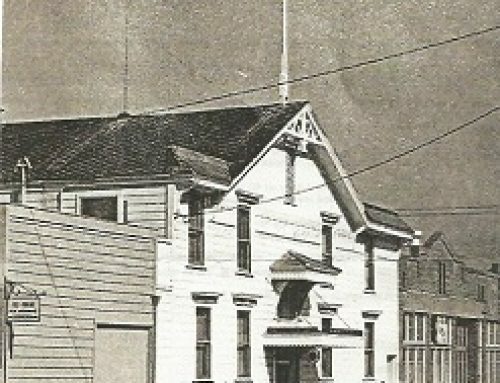 In addition to the periodic exhibits highlighting significant events in the history of our favorite river town, the Hoppy Hopkins Research Library on the second floor has a permanent collection of books, pamphlets, and files documenting Petaluma’s history. Listed, below, are a few of these resources that most Petalumans may not be aware of. Volunteer docents are available on Mondays and Thursdays from 1:00-4:00 p.m. to help visitors with their search for information. History of Petaluma: A California River Town, Adair Heig, 1982. Petaluma’s Architectural Heritage, Dan Peterson, 1978. Petaluma – As Seen Through the Eyes of Bill Lewis, 1902. This Is How I Remember Petaluma Over the Years, John Pedroni, 1940s. Comrade and Chicken Farmers: The Story of a California Jewish Community, Kenneth Kann, 1993. Donahue Landing, His Railroad and His Town on Petaluma Creek, Norman Morris, 1992. Down the Road to Liberty: The History of Liberty School District and the Libery Cemetery, Petaluma, CA, 1852-1997. Marily Taloner. Images of America-Petaluma-A History in Architecture, Katherine Rinehardt, 2005. Hail the Hometown Heroes: The Petaluma Leghorn Regency, David, Traversi, 2005.